Home / Blog / What to Take to University? What to Take to University? There is nothing more exciting (and nerve wracking) than going to University. For many of you it will be the first time you have moved away from home, and trying to decide what to take to university can be daunting. In fact, packing for university can be a nightmare! From the deciding what a student needs, to physically packing everything, then transporting it, then unpacking it and hoping you haven’t forgotten anything. In reality the experience of packing for university can be more than a bit chaotic and stressful! What do I need to take to University? What are the student essentials? How can I make my student accommodation a home from home? How do I pack for Uni? 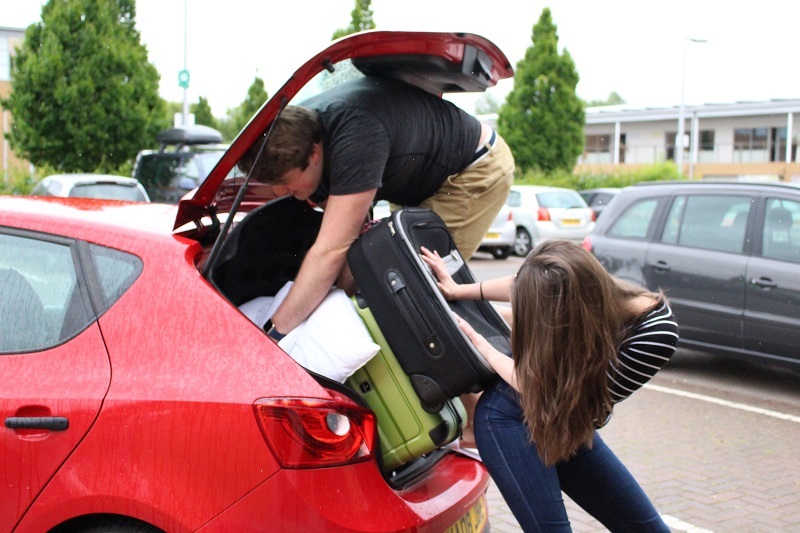 At In a Box group Ltd, we are here to help take the stress out of packing for university and to make it as easy as possible for you to leave home and move into student accommodation with as little hassle as possible. So what do we advise….? Keep calm and get organised! Student accommodation is not huge! You have limited space and limited furniture. Take only the student essentials and things to make yourself comfortable but there really isn’t any need for the kitchen sink! The seasons change. If you intend to go home in between take only what you need for this term and don’t be afraid to swap things over! What’s provided? Check with your student accommodation as to what is provided. Also check if there are any electrical items that they do not allow! Unless told differently, you are unlikely to need your AS/A Level? IB text books and notes. Fortunately, you don’t even need to make your own checklist! If you go to our contact us page you can leave your email address and we will send out our free checklist “What to Pack for University” which not only gives you a comprehensive list of what to take but also provides valuable advice for students. Identify on your checklist what you need to buy for university and get it! Don’t forget that at In a Box Group Ltd we provide pre-packaged bundles of everything you need to take to university. So instead of running around trying to buy everything, then packing it, then transporting it, then unpacking it you could just order from our website and have everything delivered directly to your student accommodation. Easy! Figure out what you are going to pack your belongings in. Student accommodation is not huge, you will have limited storage area for boxes and suitcases. If someone is taking you perhaps they can take all your suitcases/boxes back with them? Don’t forget to take an overnight/weekend bag otherwise you will have no way of carrying your things for a weekend away or when visiting home! Your belongings have value. Consider contents insurance if your home contents insurance doesn’t cover you. Crime rates against students is relatively high! Don’t forget to take a door wedge with you. In student accommodation, your bedroom door will automatically shut as it is a fire door. If you have a door wedge with you can pin it open when you are feeling sociable. Making new friends is really important to your enjoying your student experience! Good luck and enjoy your time away at university!